These online and printable word search games are an excellent way for kids to practice their spelling and learn new vocabulary for Valentine's Day. Though most of these puzzles are fairly easy, some of them can be quite daunting. Valentine Word Search - This easy word game has a list of 12 Valentine's Day words. Sopa de Letras - El día de los enamorados - This Valentine word search in Spanish has 24 words you can use while out on a noche romantica with your querido or querida. For classroom solving, we have a variety of free printable Valentine word search puzzles listed by difficulty level from very easy to challenging. Some of these printable puzzles are in Adobe PDF format. If you need to download and install the free Adobe Acrobat reader, click here. Valentines Word Search - This easy, 8-word puzzle features cute artwork and a very small grid of letters. Our Valentine's Day Word Search - In this easy Valentine word game, 12 related words are hidden in a very small jumble of letters. Solution provided. Valentines Word Search - In this easy word search game, you need to find twelve words related to the St. Valentine's Day celebration. Valentine's Day Hidden Message Word Search - This word search game is doubly challenging. Once you've found and circled all 12 words in the word list, use the remaining letters to spell out a secret message. Valentine's Day Elementary Word Search - This word search printout features 16 Valentine's Day words in a medium-sized grid. Solution provided. Valentine's Day Word Search - This word search game features 16 words related to Valentine's Day hidden in a fairly large grid of letters. Valentines Word Search - In this word seek game of medium difficulty, 19 Valentine words are hidden in a small grid. Valentine's Day Holiday Word Search Puzzle - Nineteen themed entries need finding in this word search game. The puzzle is fairly challenging due to the large number of letters in the grid. Valentines Word Search - The 20 words hidden in this word game refer to things you're likely to see or hear on Valentine's Day. The Heart Word Search Puzzle - This 20-word puzzle is more scientific than romantic, using a word list related to the heart muscle and its parts. Printable Valentine's Day Word Search - This themed 22-word game is of medium difficulty and uses an extra large font for easier reading. Words for Love Word Search Puzzle - This 24-word game has a word list consisting of that are synonymous with that loving feeling. Valentine's Party Word Search - The challenge is to find the 25 hidden words naming sweet treats, decorations and other things you're likely to find at a party. Solution provided. Valentine's Day Early Intermediate Word Search - 30 Valentine-themed words are hidden in a medium-sized grid of letters. Solution provided. The Perfect Gift Word Search - A word list of 35 romantic gift ideas to give to your Valentine is featured in this challenging word game. Solution provided. Valentine's Day Word Search - You can practice a lot of Valentine's Day vocabulary by solving this word puzzle with a whopping 42 words. Valentine's Day Mega Word Search - This challenging word game will keep you busy for a long time finding the 68 themed entries in the puzzle. Solution provided. Solving crossword puzzles is a great way for children to develop vocabulary skills and have fun, too! These easy to challenging crossword games for kids use themed entries related to the St. Valentine's Day celebration. Looking for themed crossword puzzles to solve offline? Here are some printable word games for quiet play, no batteries needed. The puzzles are listed in order of difficulty from the easiest to the most challenging. Valentine's Day Picture Crossword - At DLTK for Kids, you'll find an easy Valentine picture crossword for young puzzlers. The picture version of the crossword is a good choice for preschoolers or primary level students who are just learning how to read. Older children can use the verbal clues given in the regular crossword game to solve the puzzle. Available in black and white or color. Valentine's Day Crossword - An easy crossword game featuring ten themed entries. Solution provided. These themed crossword games are for playing on the computer. They can be fairly difficult, making them more appropriate for older children, adults and second language learners. Valentine Riddles Crossword Puzzle - What did the caveman give to his wife on Valentine's Day? Guess the answer to this and other riddles to solve this interactive crossword puzzle. CyberSleuthKids Valentine's Day Crossword Puzzle - This online crossword puzzle is of medium difficulty and features 17 themed entries in a freeform grid. Valentine's Day Crossword Challenge - From Infoplease, an interactive crossword game that's all about Valentine's Day. The puzzle uses a standard, American-style grid rather than the criss-cross format used by most of the puzzles listed here. This crossword puzzle is chock-full of Valentine trivia, but better suited to adult solvers. Hearts, cupids and other symbols of Valentine's Day are featured in these free online jigsaw puzzle games. Valentine Jigsaw Puzzles - Over a dozen "lovely" online jigsaw puzzles, from chocolates to flowers to fish. The level of difficulty is determined by the number of pieces in the puzzle, which can be anywhere from an extra-easy 6 to a whopping 247 pieces. Valentine Jigsaw Puzzle - Twenty-piece classic jigsaw puzzle using the Jigzone interface. Dancing Hearts Animated Jigsaw Puzzle - Take jigsaw puzzling to a whole new level with this animated puzzle game. Valentine Pony Jigsaw Puzzle - Here's an amusing Valentine's Day puzzle from Billy Bear for Kids. These printable mazes, hidden picture, and spot the difference puzzles are a great way for kids to develop their observation skills. Valentine's Day Connect-the-Dots - A favorite activity for young children, these Connect-the-Dot puzzles are a fun way for kids to learn basic counting skills. Rebus Valentines - Can you read these picture puzzles? Valentine Spot the Difference - Online puzzle game. Find the differences between the two pictures before the time runs out. Meet My Valentine - Each scene is presented as 2 pages from the book and you have to find the five differences between them. This game is easy and a good choice for children of primary school age. Devilish Valentine - Find the six differences between the two pictures to reveal a devilish story. Valentine Spot the Differences - Find the differences between the two pictures. Print. Play these hidden picture games on your computer or print and solve on paper. Hidden Conversation Hearts - In this online game, the object is to find all the conversation hearts hidden in the picture of in five minutes or less. This game is of medium difficulty and probably better suited to children of middle school age. Memory games, word ladders, cryptograms and other easy puzzle games with a Valentine's Day theme. Valentine's Day Word Scramble - Play online. Unscramble the letters to reveal the hidden words associated with Valentine's Day. Valentine's Day Word Scramble - Printable word jumble game and answer key. Valentine Riddles - Each letter of the alphabet has been given a number. Use the answer key to find the answer to the Valentine's Day riddles. Squigly's Secret Code - Each letter has a corresponding symbol. Substitute the letter for the symbol to decipher the secret message. Squigly's Secret Message - Solve the clue and enter the answer in the corresponding line. Once you've finished, read down the first letter of each word to reveal the secret message. 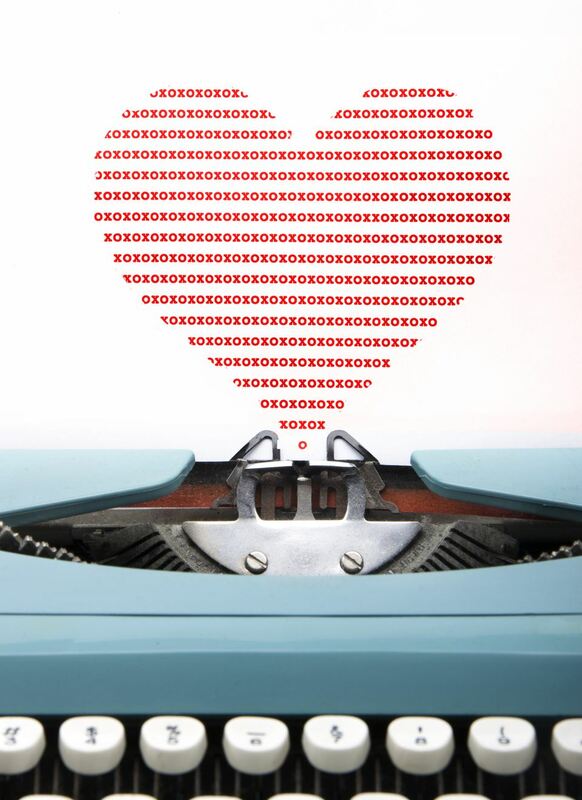 Valentine Online Word Puzzle - You have 60 seconds and 12 tries to uncover a word or phrase related to Valentine's Day. Valentine Concentration - Find the matching hearts and other Valentine symbols in this interactive memory game. Valentine's Day Match Game - Easy concentration game. Match the symbols to reveal the picture underneath.